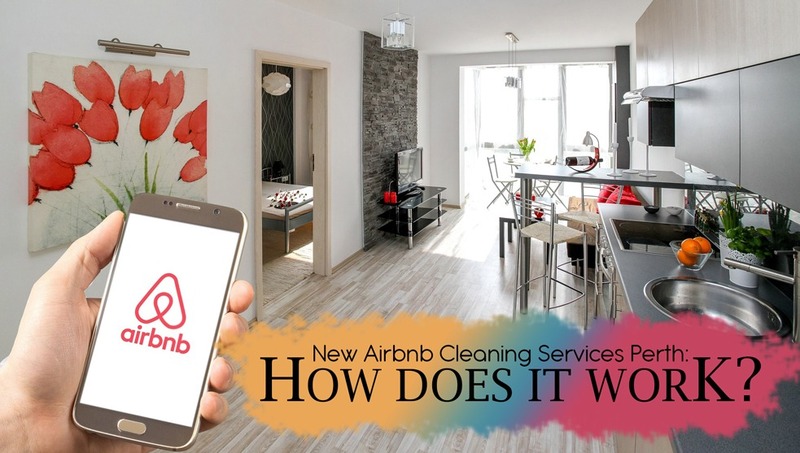 New Airbnb Cleaning Services Perth: How Does it Work? If you rent out a property on Airbnb and need the place clean after each check-out or for the next guests, hiring a professional Airbnb cleaning services Perth could help you. Acquiring their service can make your managing process a lot easier and less hassle. But, how does it work? Well, here’s the thing! Aside from the general cleaning tasks such as dusting, vacuuming, floor mopping, and etc., they could also do more extra chores for you. So, no worries at all! Rest assured your house will be perfectly ready to welcome new check-ins and guests. This article is made to help you understand what Airbnb cleaning services Perth is and how it works. You could also check if it’s worth it to have them as your cleaners. And for better evaluation, know the pros and cons of hiring them and see if it will benefit you as an Airbnb host. Check this out! What is Airbnb Cleaning Services Perth? Well, Airbnb Cleaning Services Perth is companies which are similar to property management companies that specialise in Airbnb cleaning. Many home cleaning companies also offer these services that specialise in Airbnb cleaning and management. How do Airbnb Cleaning Services Work? Well, they typically charge a percentage of your hosting fees and do all the clean-up for you. They can provide the cleaning stuff themselves if that’s what you want, or they can use yours instead. It actually depends on your contract with them. The service could include washing and changing the beddings and towels, tidying up the house, and restocking items that have run low. How much does Airbnb cleaning service Perth charge? This will technically differ depending on the type of company you choose. And what they are doing for you. Actually, most companies will offer Airbnb cleaning for 2-15% of each booking that you have as a host. Are Airbnb Cleaning Services Perth worth it? In my opinion, they are definitely worth it. Well, depending on your situation. It may be beneficial for you than for other people. And for some instance, if you live far away from your rent out the property, or you have a schedule that doesn’t give you time between back to back guest, Airbnb cleaning services Perth would probably your best bet. Hiring Airbnb cleaning services Perth team could be less of a hassle. Likewise, you are ensuring that your home is more than just clean, it’s hosting clean! Well, professional cleaning company are equipped with much better equipment. They can handle short notice jobs and are able to handle additional service especially if your most recent guests were a little messier than usual. Also, when you hire professional cleaners you don’t have to worry about a thing. They are fully insured as they have company policies that when in case an accident occurs or any other damage happen while their people are on your property. A professional realiable cleaners would be more expensive compared to doing chores yourself. Likewise, if you have a lower priced listing, then a sudden increase of rates for a cleaning fee may push some price-sensitive guests away. And though chances of getting what you need right when you need it is much higher. You are still subjected to personnel availability, what does it mean? Meaning, you might not get the same cleaners every time you request for some. Yes, cleaning and maintenance are often the struggles for most Airbnb hosts. In fact, having a high level of cleanliness could lead to more five-star reviews. However, not all hosts may not have the time or enough resources to provide it. Moreover, make no mistake! You can’t afford to cut corners when it comes to cleaning your property rentals. You should think carefully about what best options you could take and consider when you hire Airbnb cleaning services Perth team. After all, it’s all for the benefits of your business and your guests. Looking for a professional cleaning service provider? Bingo! You’re on the right track. Maid in Perth is the best solution for you. Call us today and talk with our friendly and professional customer service for more details. And if you want to learn more about a home cleaning service provider, this article is right for you. “How to choose the right Home Cleaning Service Provider”. This entry was posted in House Cleaning and tagged After Party Cleaning, Apartment Cleaning, Carpet Steam Cleaning, cleaning, Commercial Cleaning, Deep Cleaning, End of Lease Cleaning, Fridge cleaning, Grout Cleaning, Home Cleaning, Move In Move Out cleaning, Oven, Spring Cleaning, Vacate Cleaning, window cleaning.